Daniel James Brown’s THE BOYS IN THE BOAT ranks among my top non-fiction reads of 2014. It is a captivating human story made even more compelling by Brown’s remarkable story telling. This book is much more than its brilliant depiction of the sport of crew with nine men acting as one in an eight pared shell. Brown wraps their journey to victory in the 1936 Berlin Olympics in the history of the times. The culture of young men growing up in the lumber and mining towns of the Pacific Northwest with few prospects beyond a life of hardship and physical labor. The author brilliantly captures the darkness of the depression of the 1930s and its impact on families and family life. He incorporates the drumbeat of the Nazi’s, preceding the outbreak of WW II, and the elaborate deception of Hitler surrounding the 1936 Olympic Games. 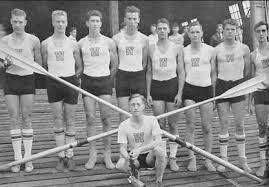 Out of this era of despair appear nine young working class men, eight oarsmen and a coxswain , who literally by chance come together under a brilliant coach and an iconic boat builder at the University of Washington. Among these young men is teenager Joe Rantz, a boy with few prospects in life after being abandoned at age ten by his father an step-mother. His true story of grit and determination swells the heart of the reader right through the exciting climax of this great American drama. The Washington eight-oared shell captured the imagination of the country much as did the underdog racehorse Seabiscuit, as so beautifully chronicled in Laura Hillenbrand’s book of the same name. Could there ever again be nine young men more deserving of ultimate triumph ? Could a nation in a great depression be uplifted by a sport so obscure as crew, which was formerly dominated only by the eastern elite. Shades of Seabiscuit versus Man O’ War! 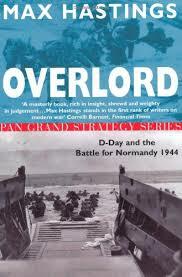 Could Hitler’s propaganda machine receive a huge setback by nine determined young American’s in eight-oared-shell ? It all happens because of THE BOYS IN THE BOAT! 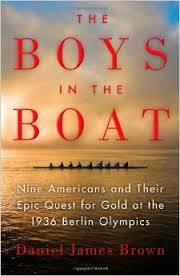 I commend THE BOYS IN THE BOAT to the very top of your summer reading list. Buy it in hardcover because it belongs in your library for future generations. Also by Daniel James Brown, The Indifferent Stars Above and Under a Flaming Sky. 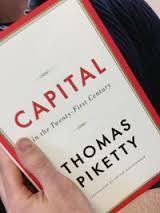 I have not completed Tom Piketty’s Capital in the 21st Century. I will hasten to add that after completing the first 250 pages I may apply for an advanced Economics Degree. The reward for wading through research and formulas going back 200 years does however come after the academics but in the early reading the news is not good regarding income inequality globally and in America in particular. More on that in a future posting with another 500 pages still to complete. There is breaking news today that may require an additional chapter in Piketty’s book! Please indulge my own interpretative headline. U.S. APPEALS COURT DEEMS TRUTH IRRELEVANT! I was not shocked at the U.S. Federal Appeals Court decision overturning Judge Jed S. Rakoff’s rejection of the settlement deal with Citigroup, claiming that the bank had got off with a mere slap on the wrist. The three-judge panel yesterday said Rakoff got it wrong by applying an “ incorrect legal standard.” Citigroup now pays a fine and its business as usual. The decision becomes even more frightening, at least to the layperson, when you peel back the details of the ruling! It seems to me that the three judges were searching for a rationale to support a foregone conclusion, much like Elmer Gantry could always find a passage in the Bible to support a point of view! What a stretch! That the public interest would not be dis-served! How is that for a parsing of words to avoid saying that the greater public interest should be served! Your honors, please! The bottom line is that three federal judges ruling deemed Judge Rakoff the “ skunk” at the Citigroup, S.E.C. party. A final irony in this sordid affair is that the appellate court, in closing, questioned its own judgment! “On remand, if the district court ( Rakoff) finds it necessary, it may ask the S.E.C. and Citigroup to provide additional information ( the truth) sufficient to allay any concerns the district court may have regarding improper collusion” between Citigroup and the S.E.C.” I think that Judge Rakoff made it quite clear that he had MANY CONCERNS! This disingenuous decision may require an additional 50 pages in Tom Piketty’s already voluminous Capital in the Twenty-First Century! 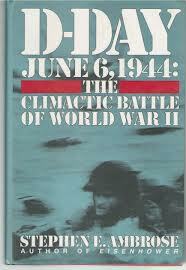 The 70th Anniversary of D-Day, June 6, 1944, has obviously peaked interested in this monumental, historic event. 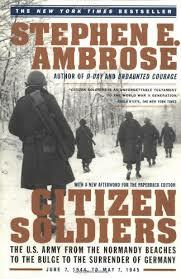 There are two books I would like to recommend to those who wish to pursue the historic details of this epic event and a third which offers important insight into the citizen soldiers so critical to the ultimate Allied Victory. Two of these books are by the same author, historian Stephen E. Ambrose. Any of these volumes would make a wonderful Fathers Day gift for lovers of history. All are still available in hard cover and paperback editions.